Only one book available at this proce. 1 x Mini Telescoping Plastic Carrying Tube Dia 21â„4" I.D. 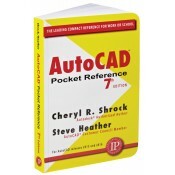 Notify me of updates to AutoCAD Pocket Reference, Seventh Edition Sale!